As a result of Saul’s (Bob Odenkirk) billboard stunt he has an influx of potential clients. Too bad they aren’t quite the clients he was hoping for. Better Call Saul hasn’t been afraid to show its humorous side, particularly in this episode. One man wanted Saul to represent him in seceding from the union and another lady wanted to dole out her Hummel collection piece by piece. The one that took the cake was the man who invented “Tony the Toilet Buddy.” The vocal potty-training aid actually didn’t sound like a bad idea until we saw it action. Some words just don’t work for potty-training. What we have in Saul is a man who wants his cake and to eat it too. There is a level of him that seems to want to the right thing. He even proudly announces to this brother Chuck (Michael Mckean) that he plans to specialize in elder law. However, we know he doesn’t really want to do that, he’s just grasping at straws. He’s more about instant gratification and he’ll jump at the next payoff that comes along. He does seem to genuinely care about his brother, but when he said he was going to have him committed in order to take over his share in Hamlin, Hamlin & McGill I didn’t doubt it. It turned out he wasn’t serious, but who knows what the future will bring. Will he be able to resist the temptation? This episode, titled “Alpine Shepherd Boy” in reference to the aforementioned Hummels, planted the seed for Saul and Mike’s (Jonathan Banks) future partnership. We don’t know a lot about Mike at this point, but little bits and pieces have been seeping through. We know he used to be a cop and in this episode it looks as though his daughter hates him. Not that it’s too big of a surprise, but it looks as though he has somehow run afoul of the law. 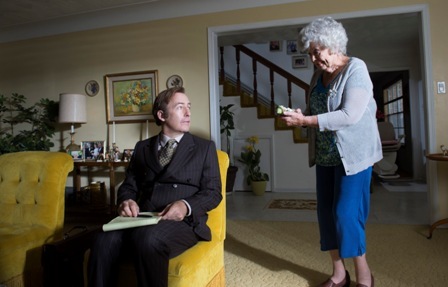 So maybe that business card Saul gave him – in case he knows any “elder people” – might come in handy after all. 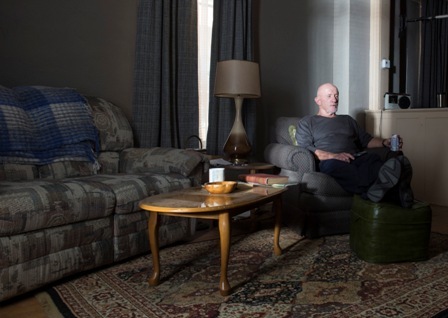 Slowly but surely Better Call Saul has been developing a solid story arc. 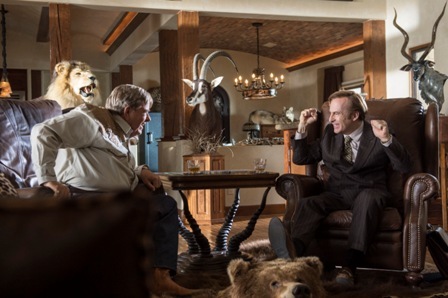 We know how it ends for Saul, but the entertaining part is the how and the why. It might be something I didn’t have any inclination for wanting to know, but I’ve been enjoying the ride so far. There’s a little more depth to Saul than I would have thought. He’s a man grappling for the American dream without any idea of what it is or how to get there. He just knows he wants something and he’ll stop at nothing to get it.